A short review of the results of the Bonhams sale of May 15th in NY. Before aftersale, about 50 % of the lots were sold. Overall results were as expected. Many of the excellent objects of daily use from the collection of Marc & Denyze Ginzberg were sold for next to nothing. The Chokwe figure on the front cover failed to sell, which shouldn’t be a suprise seen the high estimate. 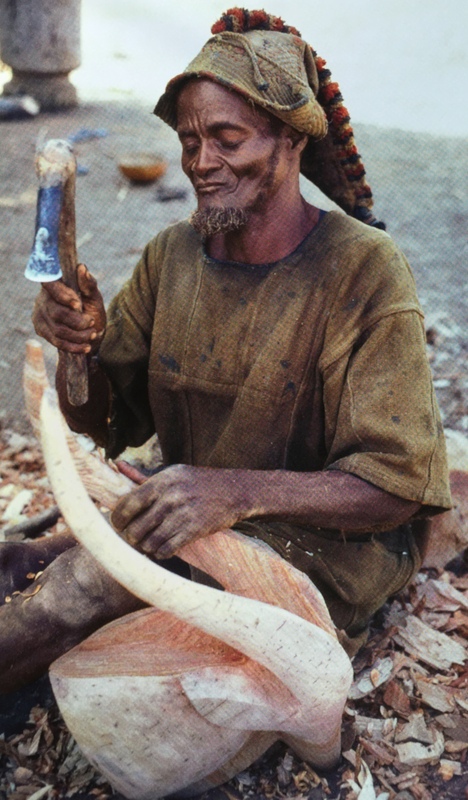 – a rare Mossi doorpost, which sold for $ 3,125 inc. premium. A wonderful abstract form at a bargain price. 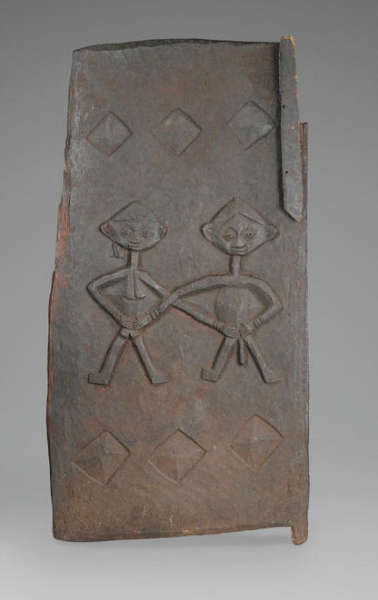 – an interesting Yoruba door, which sold for $ 5,000 inc premium. 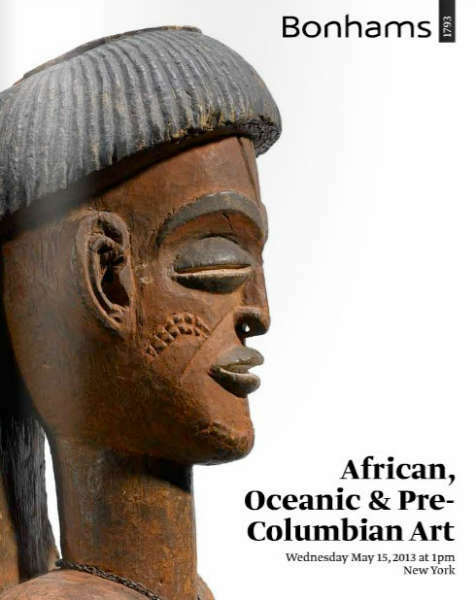 It is featured in Henry Drewal’s African Artistry: Technique and Aesthetics in Yoruba Sculpture; a must read by the way. 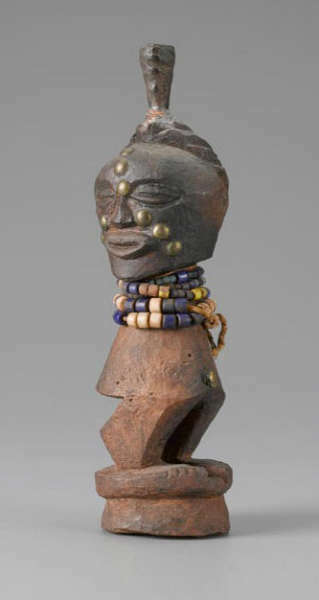 – a miniature Songye figure with a turned head, wich sold for $ 20,000 inc. premium. Seen the difference in patination the body most likely once was covered. Two other figures from this artist are known. This entry was posted in Auctions and tagged Mossi, Songye, Yoruba on May 16, 2013 by admin.